Andrew Mackiewicz earned his second straight sabre title with a 15-11 comeback victory in the NCAA final. Andrew Mackiewicz made quite a first impression when he arrived at Penn State University. 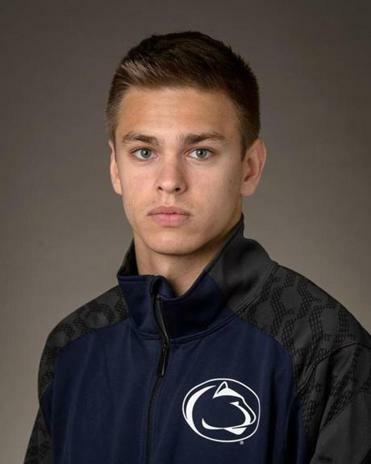 As a freshman, the 2014 Westwood High graduate won the NCAA men’s fencing title in sabre. The 20-year-old repeated as national champion at Brandeis University in late March, registering a 15-11 come-from-behind win over Ferenc Valkai (St. John’s University) in the final. He is the ninth back-to-back sabre champion in NCAA history. After running up a 32-8 record, with nine shutouts, Mackiewicz compiled a 25-7 mark as a sophomore. A fencer since age 8, he got his start training at Zeta Fencing in Natick, under the guidance of Zoran Tulum, coach of the US national team. Currently ranked fourth in the country and a qualifier for the senior national team, Mackiewicz is an economics major. Q. How did you initially get involved in fencing? A. I just remember I liked Star Wars, and I’m still a huge fan. So instead of running around hitting my brother with lightsabers my parents signed me up for fencing and I’ve stuck with it ever since. Q. Your reaction to repeating as national champion? A. I still don’t think it has hit me yet. Last year as a freshman it kind of hit me right away, but this time it’s taking a little longer to sink in. Winning back-to-back titles is something special but hopefully it’s not my last one. I’d like to get two more. Q. What is most important aspect to being successful in fencing? A. When you compete at a high level everyone is in great shape and everyone works hard. The biggest thing is being mentally prepared. Fencing is a huge mental game and you’re always try to think what you can do to outsmart your opponent. The closest thing to fencing is tennis. It’s a back-and-forth kind of game. If you’re having a good day and feeling positive about yourself, then you’ll succeed. Q. Do you have to explain to most people what fencing is? A. Occasionally, yes. I missed some time in high school going to national competitions, so I had to see my guidance counselor and she complained that my sport was dangerous. My mother came into the office and [the counselor] asked ‘how can you let your son ride horses and try to knock each other off with long sticks?’ She confused fencing with jousting with fencing, which is really funny. Q. What are your aspirations for fencing beyond college? A. Ideally I would like to be selected as a spotter for the 2016 Olympics in Rio. As a spotter, I would join the top two United States fencers in Rio to help them practice and prepare for their bouts. It will definitely be a learning experience for me when I’m preparing for the 2020 Olympics. Q. Do fencers typically have a peak age to perform? A. Most fencers hit their prime in the mid-to-late 20s. So I am still very young and I see myself fencing for another 8-10 years. Q. What are your summer plans? A. I have applied for internships at adidas and Reebok in Canton. I am also looking at an internship opportunity in Poland. As of now anything goes. I also wouldn’t mind taking a week or two off and going to Florida just to relax from school. Q. Any sports interests other than fencing? A. I’m a huge soccer fan. I watched Barcelona and Real Madrid the other day and I like to play in pickup games when I can just to help stay in shape. Q. What do you like to do when you’re not competing? A. I love trying out new foods. The other day I tried cow tongue. There is a Thai place in State College and I went there with a few of my friends. One of my teammates is from Hong Kong and said I should try it. It has a very unique taste. It’s very tender and a little like chicken.